Dec. 1, 2016, 11:54 a.m. Dec. 1, 2016, 11:54 a.m.
As the winters approach and the first layer of snow makes an appearance, if you are a motorist, you will realize that you are struggling to maintain your vehicle’s control as roads become slippery. If you are a experienced motorist you will be aware of the difficulties of driving in winters however, if you are a fairly new driver and do not have much experience in driving around in snow, you might want to consider fitting your car with this cold season. Winter tyres are manufactured to maintain a better driving traction on salty, slushy and icy roads during extreme cold temperatures. A tread rubber compound is used to manufacture winter tyres which have a high content of silica. The tread pattern is specifically designed so that the tire retains it’s flexibility in cooler temperatures and render good braking and traction performance on wet and icy roads. While vehicles in the UK are not legally bound to equip themselves with winter tyres, in numerous parts of Europe, fitting your car with winter tyres is common and a legal requirement. All season tyres are fitted on numerous new vehicles before they are of the factories. These type of tyres are growing in popularity as they render a sound fuel economy, have a good tread life and provide a much quieter ride as compared to normal tyres. Moreover, these versatile tyres are designed to tread on all types of climates such as summer days, wet roads and light winters. However, it has been observed that in an effort to render the best of driving in summer and winter climates, all season tyres do not handle extreme hot and cold temperatures very well. This means that these tyres will not give you the sharp handling of the summer season or the extreme grip required during the winters. All season tyres are ideal for motorists who live in moderate climate and do not have to drive through extreme cold and snow. Winters make driving difficult. From black ice to heavy snowfall, it is quite a challenge for motorist to tackle roads during the cold season. Such climatic conditions demand your car tyres to handle traction like no other season. Therefore, if you encounter such weather during winters it is imperative that your vehicle needs winter tyres to be fitted. 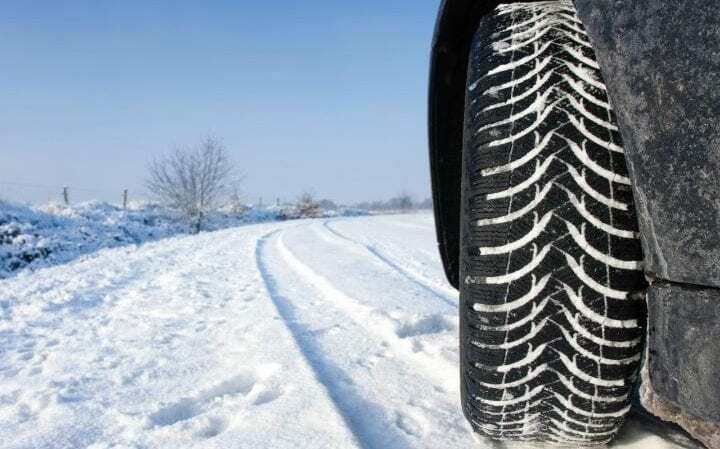 What are the characteristics of winter tyres? Winter tyres owe their uniqueness to the main aspects below. The tread rubber of the summer tyres of the all season tyres becomes stiff and is not able to provide as much traction as compared to winter tyres which are designed in such a way that they are flexible and allows better grip on the salty roads. Winter tyres are equipped with more biting edges and high spine densities which mean that there are more slits in the tread which render more traction. The unique tread patterns and deep tread depths assist in minimal snow build up and hence render a better grip on snow. They are also designed in such a way that they channel slush and snow as they move and expel water. The tread depth of winter tyres should be at least 3mm. If you are fitting your car with winter tyres, it is recommended that you carry a spare because if you fit a spare summer tire or an all season tire to your vehicle, it could become extremely difficult to handle your car due to varied levels of grips at every corner. You need to fit your winter tyres around October and have them changed back to summer tyres in March. When should you buy winter tyres? It is imperative to equip your car with winter tyres if you happen to live in a remote area where you experience extremely cold temperatures and you have to commute long distances daily. The cost of fitting winter tyres can be a costly affair i.e. £500 approximately and this is largely a personal decision which you have to take if you are not legally bound to fit them. Winter tyres have to fit in sets of four. Depending on the risk of bad weather, the amount of daily driving you have to do and you driving confidence level on snowy roads, you can decide whether you need winter tyres or not. What are the implications on Insurance if you fit winter tyres? Even though the speed index might be decreased, if you fit your vehicle with all season or winter tyres instead of the regular summer tyres, it is ok to not inform your car insurer as it is the standard European practice to keep two sets of wheels for every vehicle. However, it is imperative to ensure that you fit the winter tyres only of the correct specification of the wheel size i.e. the width, offset and diameter of the winter tyres should be identical to that of the vehicle manufacturer. If in doubt, you can refer to your vehicle’s manual for more details. What driving precautions would you take after fitting winter tyres? After you have duly fit your car with winter tyres, here are a few winter driving tips you need to keep in mind. To reduce chances of spinning wheels, be extremely gentle with the throttle and the clutch. Use high gears whenever possible and try pulling away in the second gear instead of the first which prevents you from putting yourself in a rut. Drive at a controlled speed and refrain from braking sharply. Take major routes wherever you can as these roads are more likely to be gritted and a high traffic will ensure that snow do not settle on the roads. Leave considerable space between your vehicle and the one ahead of you. While winter tyres are currently being much popularized and promoted by tire manufacturers and tire fitters, it can be a worthwhile investment to be prepared for the short span of rough weather during the winter months.